Meet the Frontify Sketch plugin and connect the world-leading brand management software with the beloved digital design toolkit. 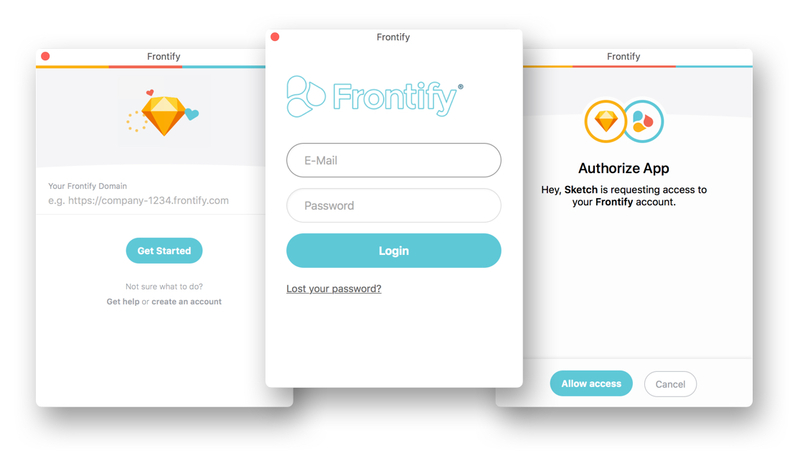 Signing in is straight forward: Enter your Frontify domain, your personal credentials and authorize Sketch to access your Frontify account. Once you've successfully signed in, you can change the brand and projects by clicking on the logo next to the brand title. If you haven't any projects in a specific brand yet, you can create one right within the plugin by clicking on 'Create project'. To navigate within different project subfolders trigger the change folder dialogue. Adding a Sketch source file to Frontify Workspace is straight forward. Save your work, trigger the plugin's source file functionality and make sure you're in the right project (see 4.). Press 'Add current Sketch file' - that's it. Similarly, if you want to open a source file from Frontify Workspace, trigger the plugin's source file functionality, navigate to the project where the source file is located (see 4) and press 'Open' (see 7). Once you're done with your changes, simply click 'Push Changes' next to the Sketch source file name in the Frontify plugin. Your file is now on Frontify Workspace and accessible to all the people that have access to the project. 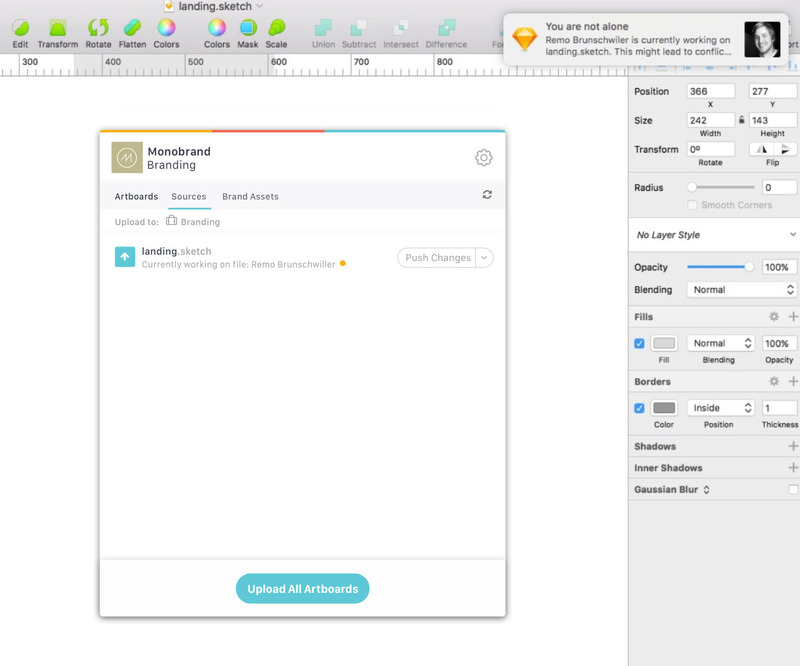 You can either upload single or multiple artboards to Frontify Workspace. Within the Frontify Sketch plugin, navigate to the brand, folder, and subfolder where you want to upload your artboards (see 4). Push either 'Upload' right next to the artboard if you want to upload a single artboard. Alternatively, click 'Upload All Artboards'. If there is already an older version of the artboard in the same folder, Frontify automatically creates a new version for you. The same is true for Sketch source files. A library is actually an ordinary Sketch file containing symbols that can be used in other Sketch documents. If you make changes to the library file, your colleagues will be notified that updates are available for the instances they referenced in their documents. They can then preview, check and confirm changes. They only have to pull the most recent library file using the Frontify Sketch plugin to make use of this feature. 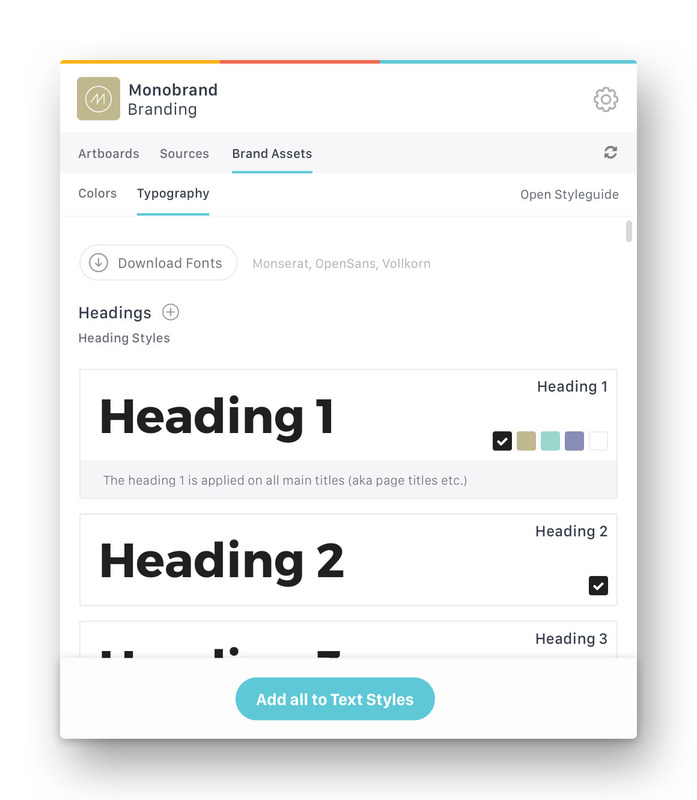 You can access all the fonts you defined in your Frontify Style Guide directly from within Sketch. 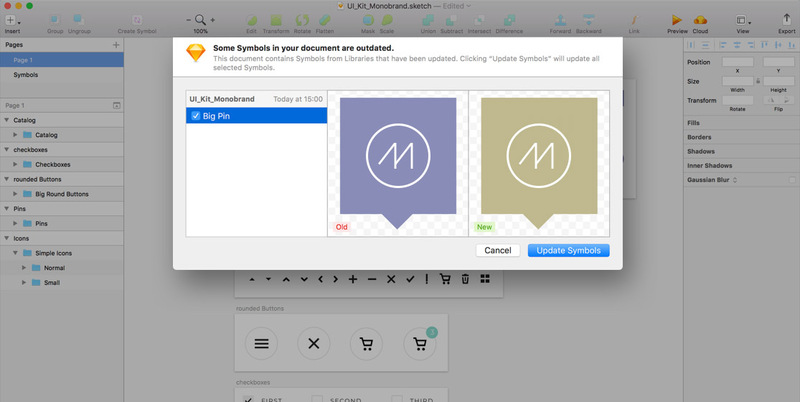 There is an easy option to either download all the fonts, or to just push them to your Sketch Text Styles. Similarly, you can access all colors defined in your Frontify Style Guide. 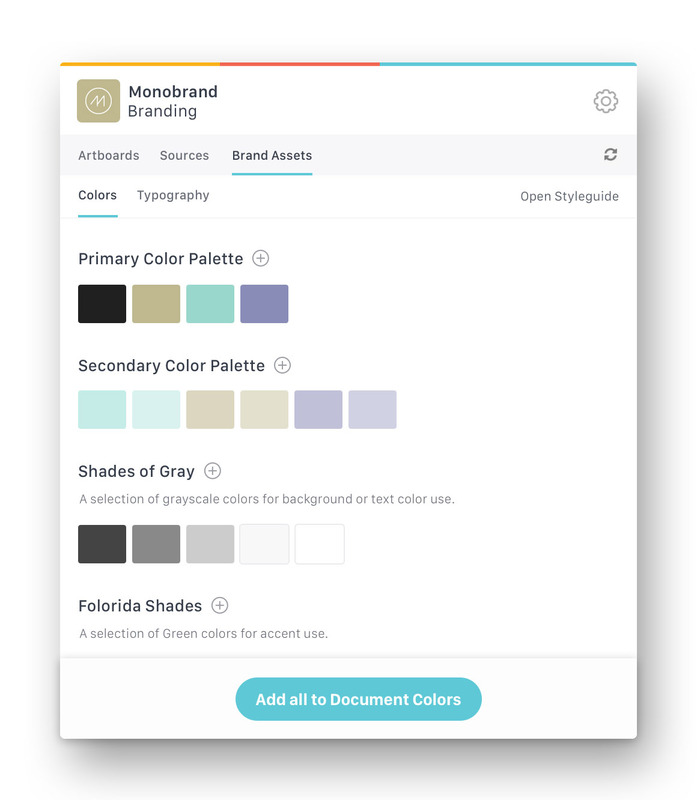 Navigate to the ‚Color‘ section within your ‚Brand Assets‘ tab to find your color palettes. You can select and use those colors immediately by clicking on them or you can add them to your document colors or to your global colors. To prevent sync conflicts right from the beginning, Frontify will trigger a notification to let you know if someone is working at the same Sketch source file. What do you think? Is there anything missing or something else we can help you with? Just let us know.